Sierra Nevada Brewery has been a featured part of every one of the 14 Mountain Harvest festivals. The most beautiful of fall days brought 430-plus folks to the Plumas-Sierra County Fairgrounds on Oct. 14 for the 14th annual Mountain Harvest Beer Fest. 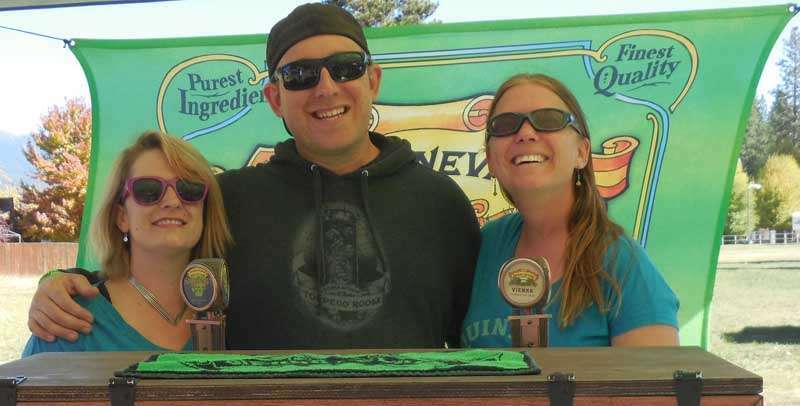 Twenty craft breweries served up dozens of beers for sampling. The event was the public debut of Quintopia Brewery scheduled to open in Quincy this winter, which also welcomed local breweries The Brewing Lair, Chalet View and Lassen Ale Works. The energetic, brassy funky fun of Rigamarole was an overwhelming hit. The band — featuring Quincy alumni Tanner Johns on saxophones — is comprised entirely of music educators from the communities of Gridley, Willows, Red Bluff and Chico teaching in ranges from elementary school all the way through college. 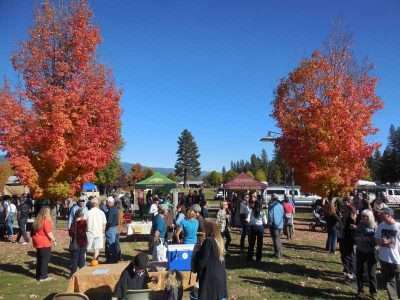 Plumas Arts loved them so much that they booked them on the spot to perform at its 35th anniversary Street Party coming next spring. Railway & Main and the Sierra Moonstar Dancers also performed. Event coordinators Dale Ready and Kara Rockett Arsenault did a fine job pulling all of the details together that made the event such a rousing success. 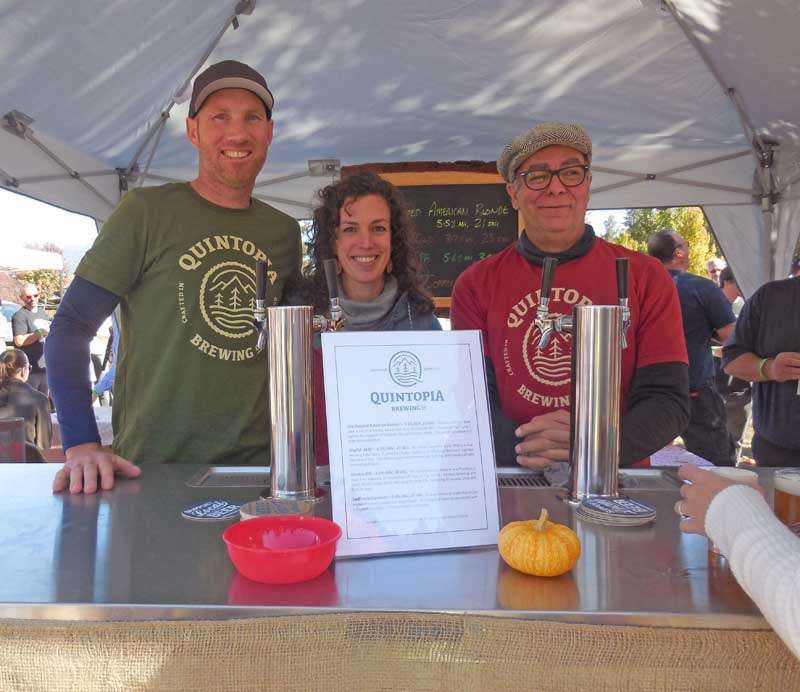 Plumas Arts offers heartfelt thanks to the Relay Station; Quincy Natural Foods; the brewers, breweries and distributors who brought their fine beers for tasting; as well as the volunteers who helped with the pouring, handled the gate, staffing booths and all of the attendees. 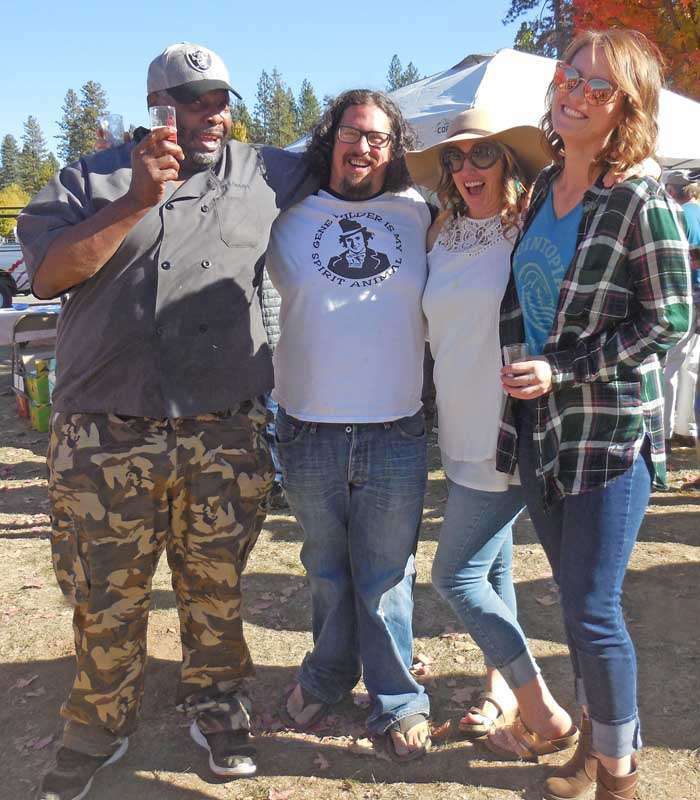 The Mountain Harvest Brew Fest, along with Taste of Plumas and the silent auctions that accompany them, are the most important fundraising events for Plumas Arts, one of this region’s most active community building cultural organizations. For more information about the work of Plumas Arts or to become a supporting member, visit plumasarts.org. Seamas Gallagher, left, designed the event poster and also helped with beer pouring and fun. 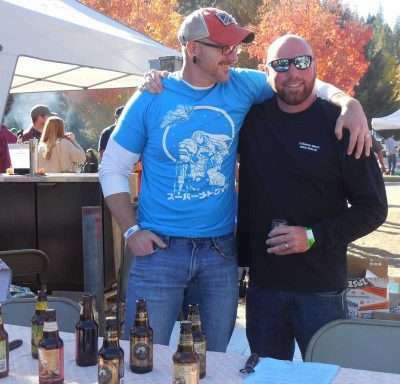 Hundreds gather to enjoy dozens of brews, a beautiful fall day and each other. Local folks enjoy the brews and each other. Rigamarole danced through and with the crowd sharing their funky fun music.